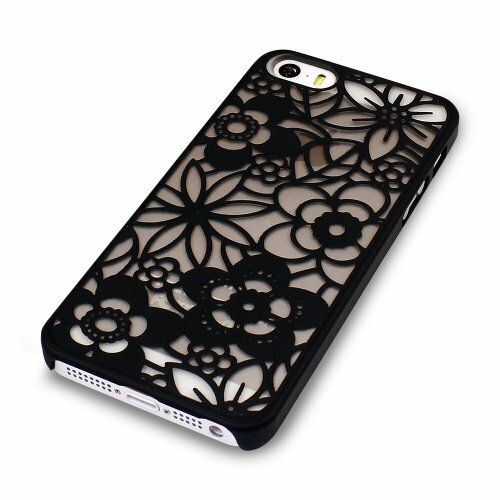 Fantastic looking case for your device. There are plenty of cases out there but this is built to last with style. 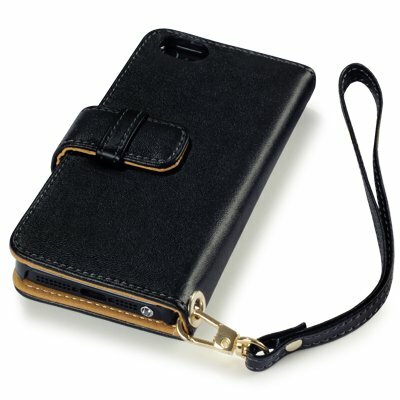 Made of a premium PU leather mix this wallet case will wear well and maintain the look of your phone. Specially designed with a plastic housing bracket your phone is held securely and with the full face exposed for unhindered use of touchscreen and controls. Design allows for full access to touch screen, side buttons, charging & headset ports, and camera. 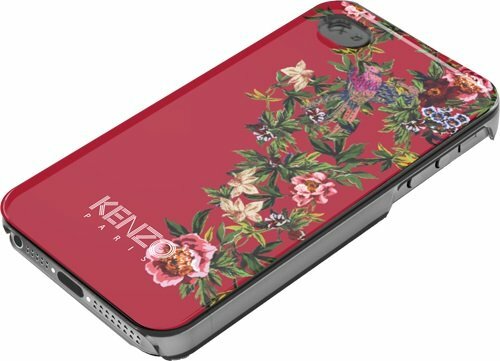 The wallet case also has storage slots for credit cards or money, and an elegant floral interior giving you a sleek and convenient phone carry option. 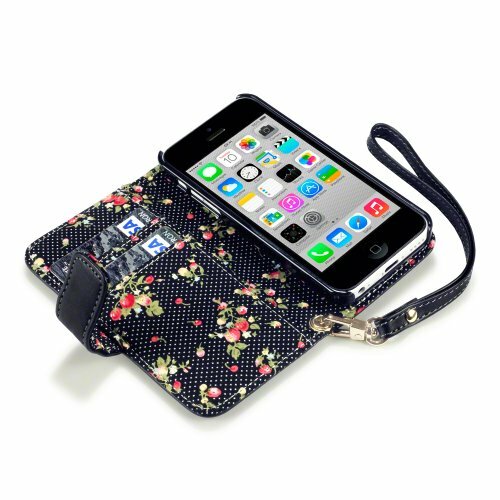 Perfect for the user who is fond of organization, the black iPhone 5C wallet case is tailor-made to provide both maximum protection and maximum storage space. 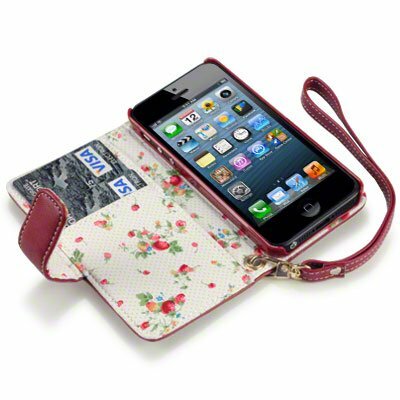 The innovative design of the wallet case means that it features three storage flaps in its interior. These enable a user to carry their bank/credit card, loose notes, and other day-to-day items alongside their smartphone – ensuring all of their valuables are in one place, and negating the need to buy a ‘standard’ wallet. 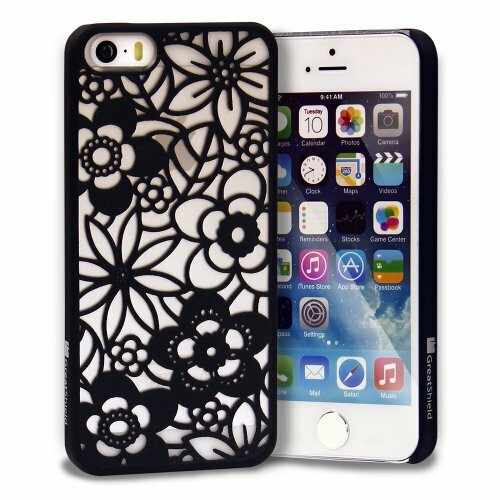 The iPhone 5C wallet case has many other benefits, however. 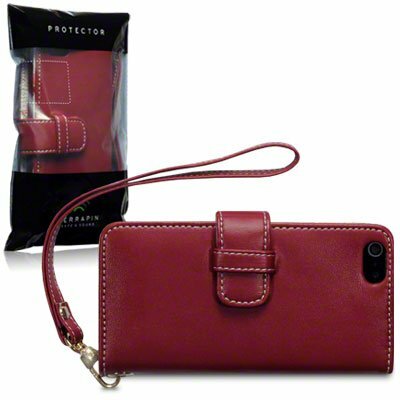 As one of the best iPhone 5C leather cases on the market, it provides consummate protection for the body of the handset. 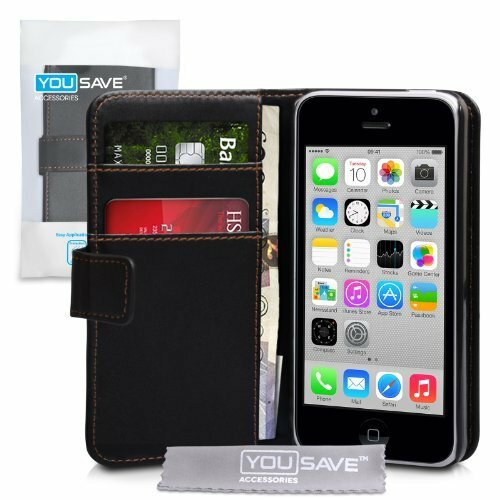 Day-to-day worries like scratches, chips and scuffs will be less of an issue, due to the sturdy defence offered by the faux leather/hard plastic construction of the wallet. The wallet also features some handy utility benefits. 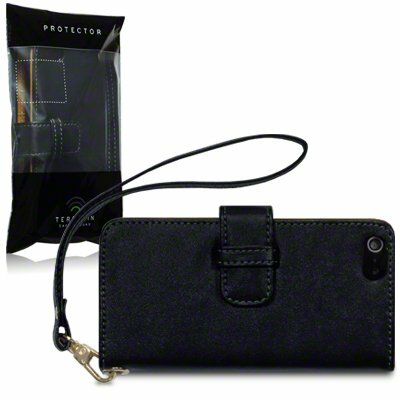 A clasp at the front of the wallet utilizes magnets in order to keep the case firmly closed when not in use. But in the event of calls or texts, you can simply snap this clasp open again, providing quick and easy access to the display of the iPhone 5C. A cut-out in the back of the wallet exposes the camera lens of the iPhone 5C. While this does not affect the overall defence of the wallet, it does mean that an aspiring photographer can take pictures and video footage easily – without ever removing the wallet case to accomplish it! 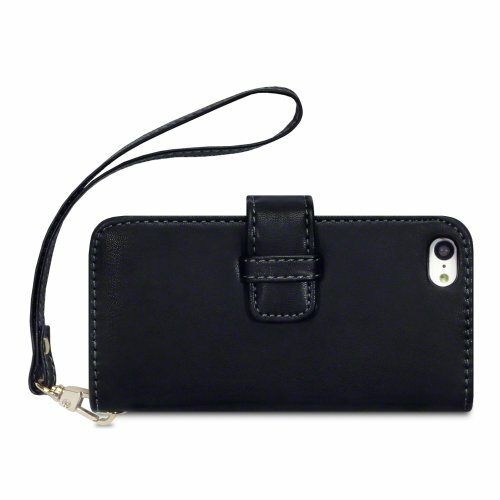 For the snap-happy paparazzi out there, this is one of the most convenient iPhone 5C leather cases there is! The perfect blend of protection, style and convenience, this convenient wallet case is one of the best iPhone 5C covers that money can buy, and is truly the best accessory for getting the most of the new iPhone! 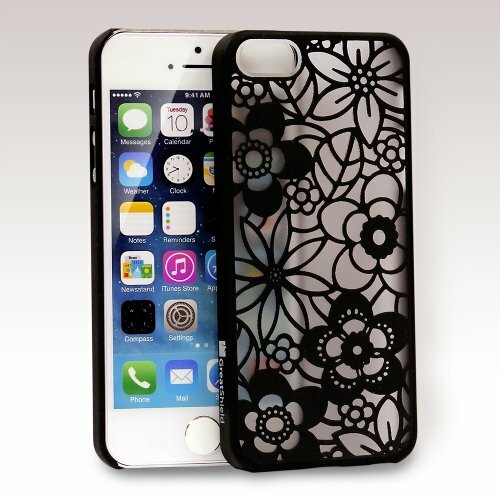 Fantastic looking case for your device. There are plenty of cases out there but this is built to last with style. 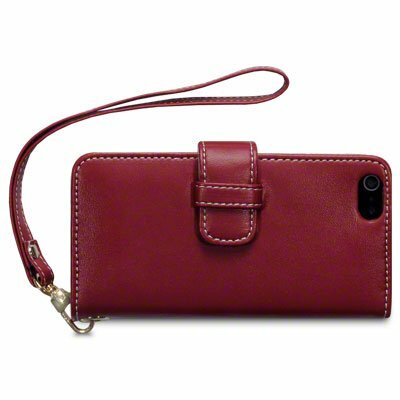 Made of a premium PU leather mix this wallet case will wear well and maintain the look of your phone. Specially designed with a plastic housing bracket your phone is held securely and with the full face exposed for unhindered use of touchscreen and controls. Design allows for full access to touch screen, side buttons, charging & headset ports, and camera. 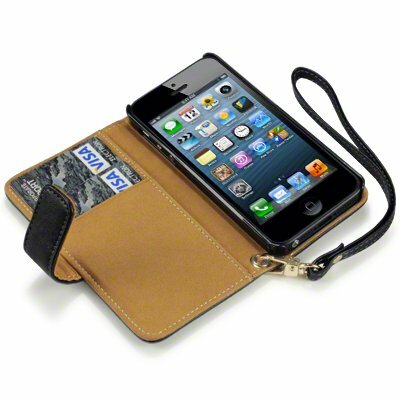 The wallet case also has storage slots for credit cards or money, giving you a sleek and convenient phone carry option. 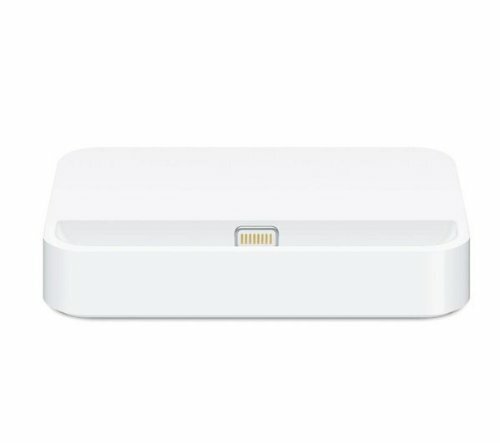 Connect the dock to your computer with the USB cable (sold separately) to sync iPhone and charge its battery. Connect the dock to powered speakers or a stereo using a 3.5 mm cable (sold separately) to play music and podcasts through your iPhone. Charge and sync your iPhone 5s or iPhone 5 with the iPhone 5s Dock. Your iPhone sits upright in the dock as it syncs or charges, so it’s perfect for a desk or countertop. It features a convenient audio line out port that connects to powered speakers. It supports other iPhone 5 accessories, such as the Lightning to USB Cable (sold separately). You can even conduct speakerphone calls with your iPhone in its dock. Connect the dock to powered speakers or a stereo using a 3.5-mm cable (sold separately) to play music and podcasts through your iPhone.